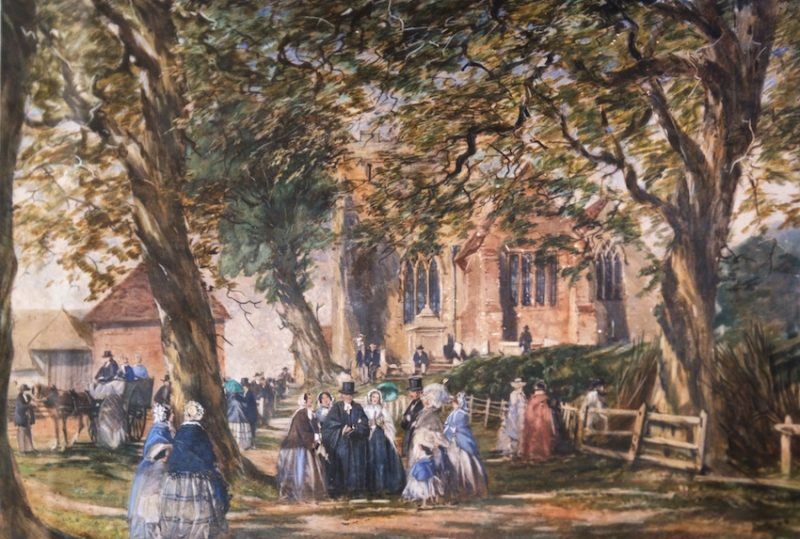 Faversham Life explores Throwley Church. 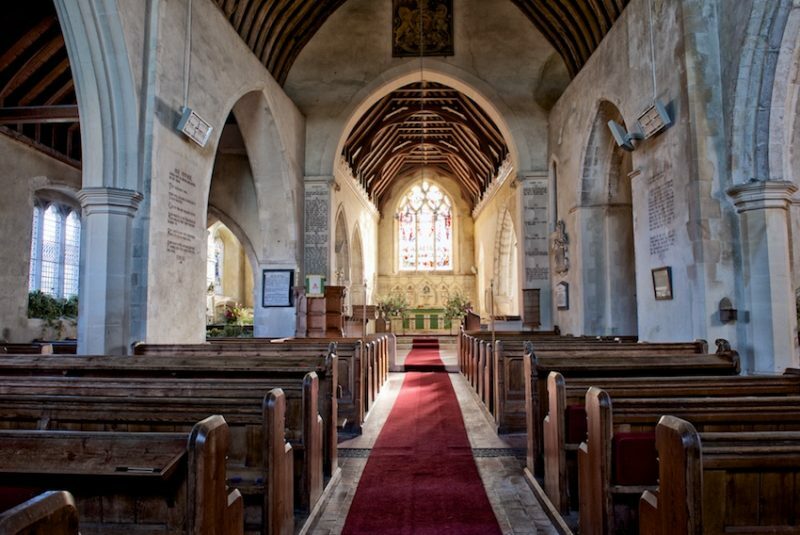 Throwley church, dedicated to St Michael and All Angels, with sheep grazing in its graveyard, presents at first sight an enchanting bucolic vision, even more thrilling the moment one steps into the church. For here is the quintessence of a rural English parish church, albeit one that did not escape a thorough Victorian overhaul. 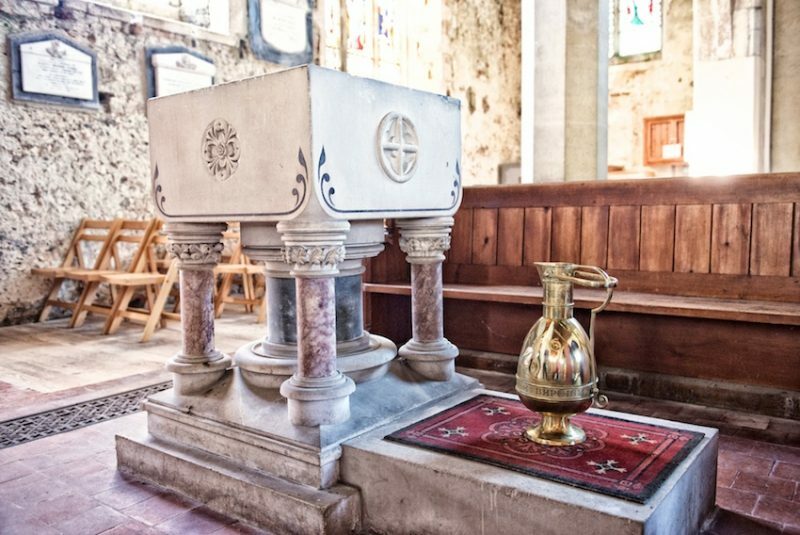 It is brimming with interest in every corner, from the still extant oil lamps lighting the organ, to the fine Victorian font with its original brass pitcher, to a superb collection of monuments. 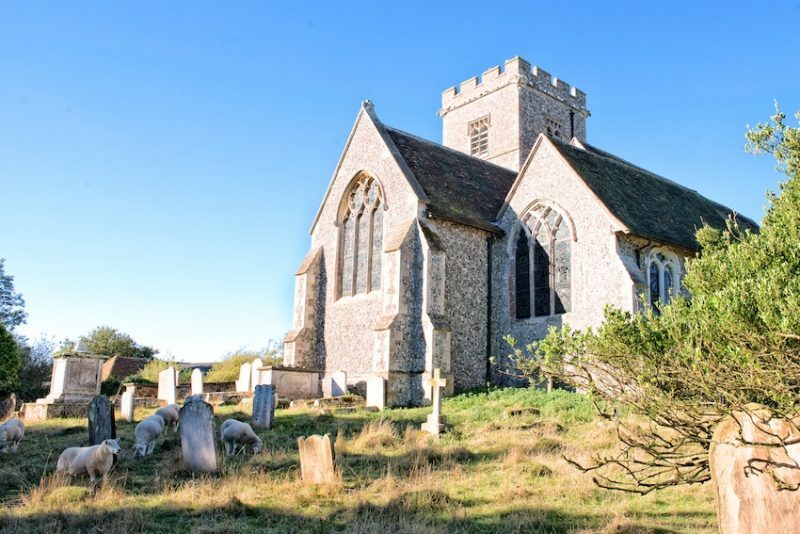 Tucked away off the road beside an attractive 16th century half-timbered house, the church is built of local flint and is typical of the large churches which stretch along the North Kent Downs from Dartford to Dover. 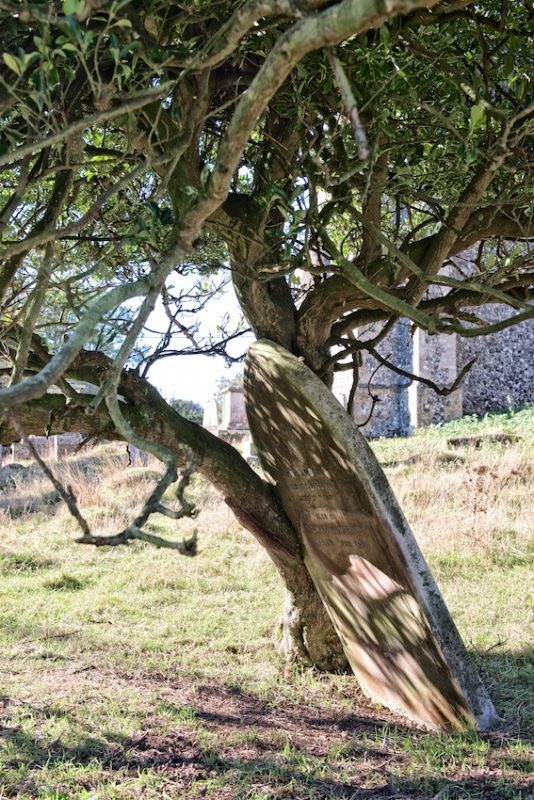 Although just a couple of miles from Faversham, it has an air of remoteness and peacefulness. The earliest mention of the church is in the Domesday Monachorum, but it originally dates from somewhere ‘between 600 and 1000,’ writes John Owen in an excellent scholarly History of the Church (for sale in the church for £5). 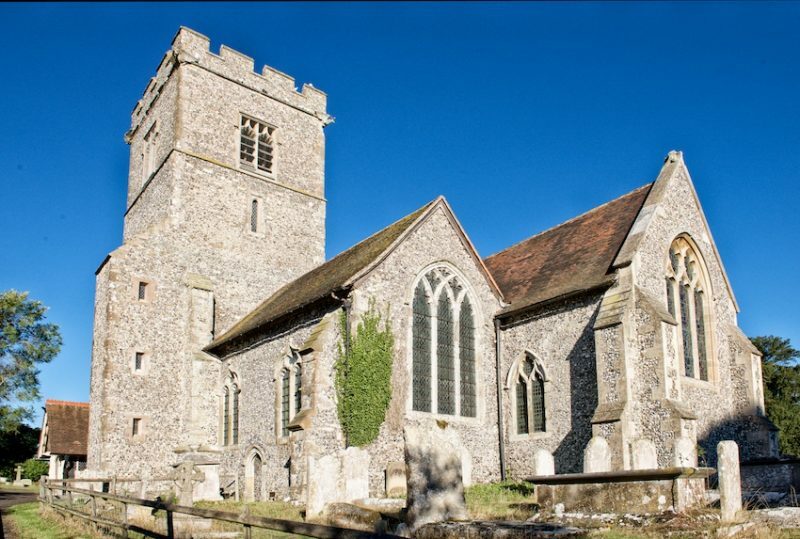 John Owen writes that the church was reconstructed at ‘some point up to 1150, completed by about 1160, near the end of that great surge of church building. 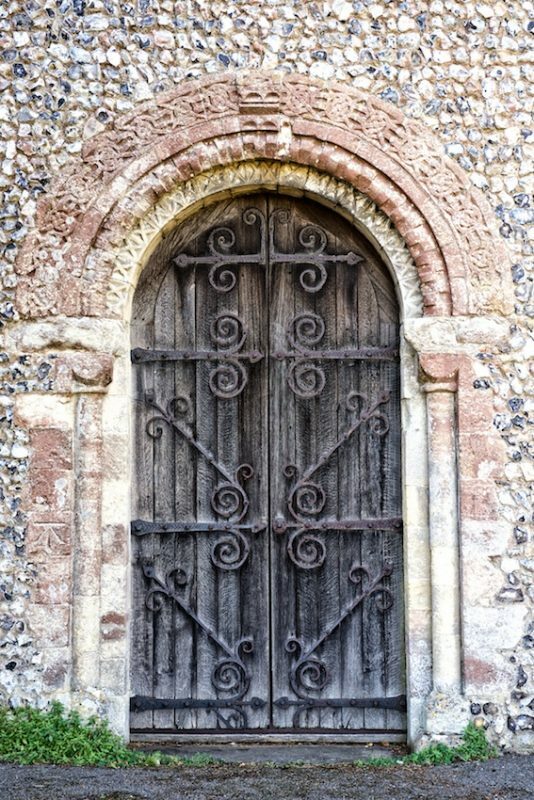 Most of this building survives, as the core of the present church.’ The Norman West Door is worth noting and is mentioned by the celebrated antiquarian Edward Hasted in his History of Kent (1782). Hasted lived in the parish in the 1760s. 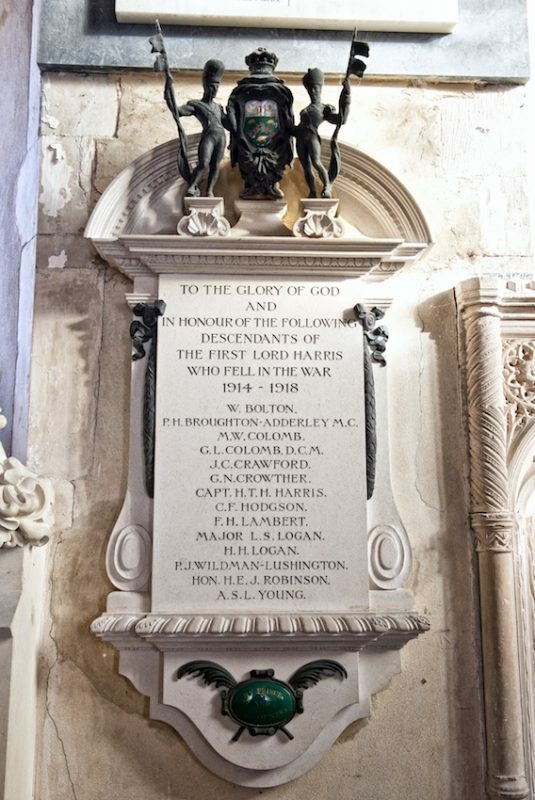 There are striking monuments on either side of the centre aisle. On the left, the North Chapel is dominated by a life-sized monument to the first Lord Harris of Seringapatam and Mysore and Belmont (1746-1829), a professional soldier. He founded the family fortunes with the prize money from the sack of Seringapatam in India. Designed by the Scottish sculptor and politician and one-time Governor of the Falklands, George Rennie (1802-1860), the monument is more akin to military monuments that scatter London. 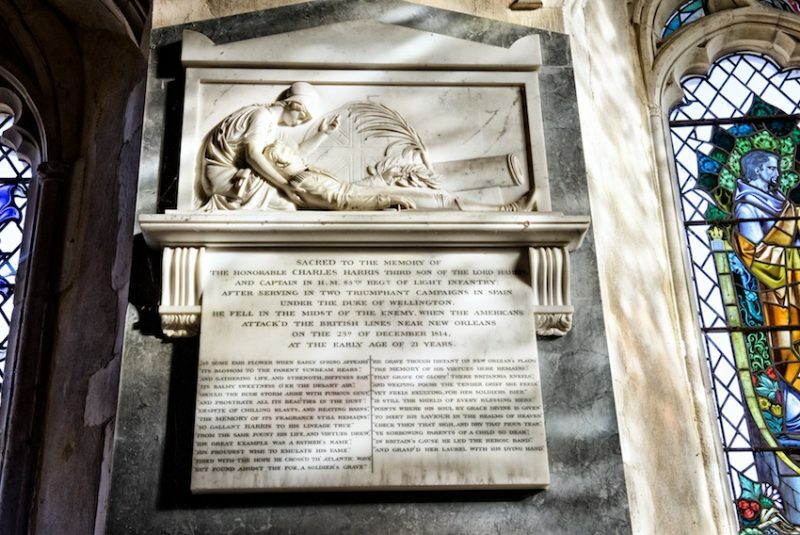 On the north wall is a monument designed by the renowned neoclassical sculptor, John Flaxman (1755-1826) to Lord Harris’s third son, the Hon Charles Harris who was killed in New Orleans in 1814. The Harris family bought nearby Belmont House in 1801. 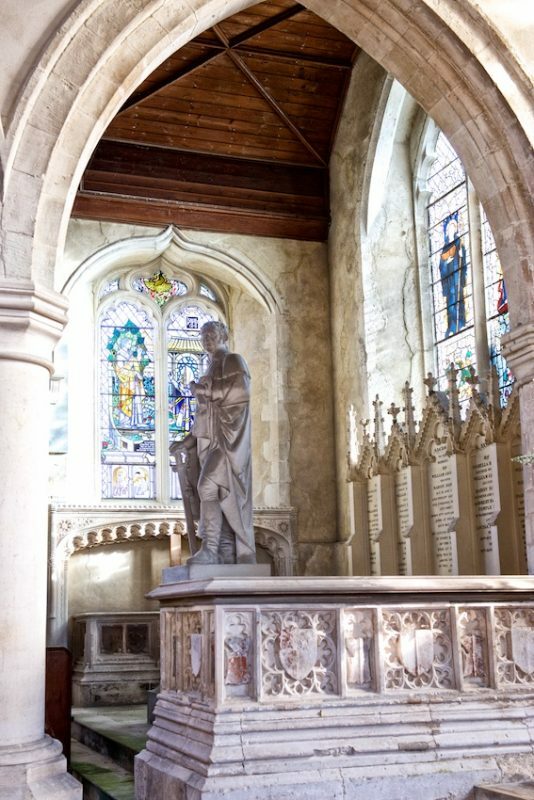 There are several other Harris memorials as well as a fine hatchment and a stained glass window installed in the 1980s in memory of Lady Harris, widow of the fifth Lord. On the right is what was known as the Trinity Chapel, now the Sondes Chapel. 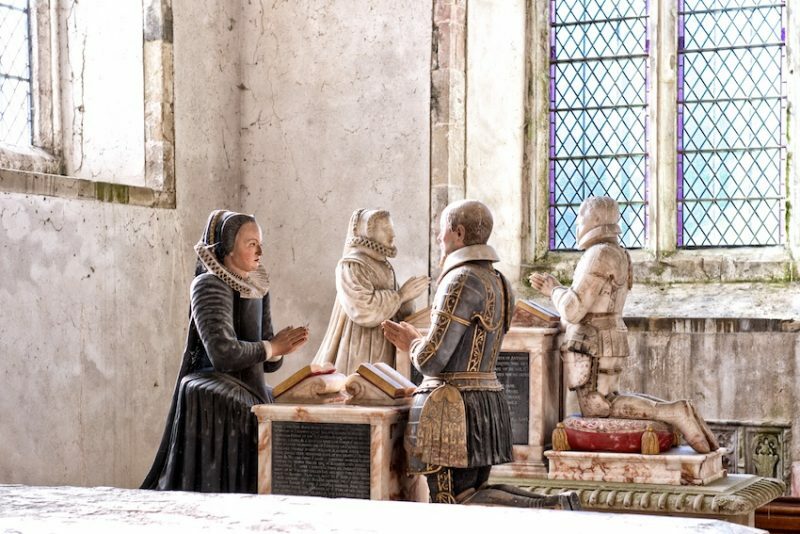 It is an arresting sight to gaze across the two tomb chest monuments side by side of Sir Thomas Sondes and his first wife, Cecilia Tufton, and his brother, Sir Michael Sondes and his wife, Mary Finch. Both couples are depicted kneeling deep in prayer facing each other. Sir Michael’s tomb is more elaborate, being built entirely of red-veined alabaster, whereas Sir Thomas’s is stone embellished with pale alabaster strips between which is a display of four coats of Sondes and Tufton arms. Both monuments are attributed to the Southwark School. 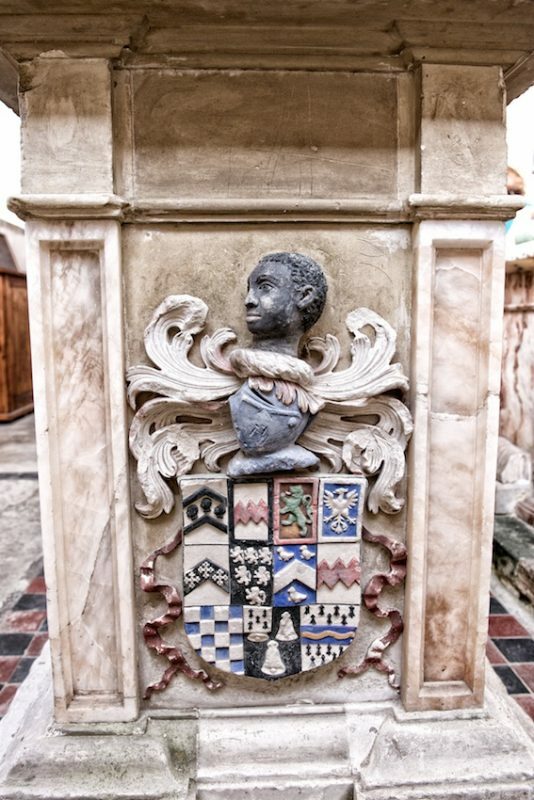 There is another tomb chest commemorating Sir Anthony Sondes made of clunch, a soft chalky local stone. 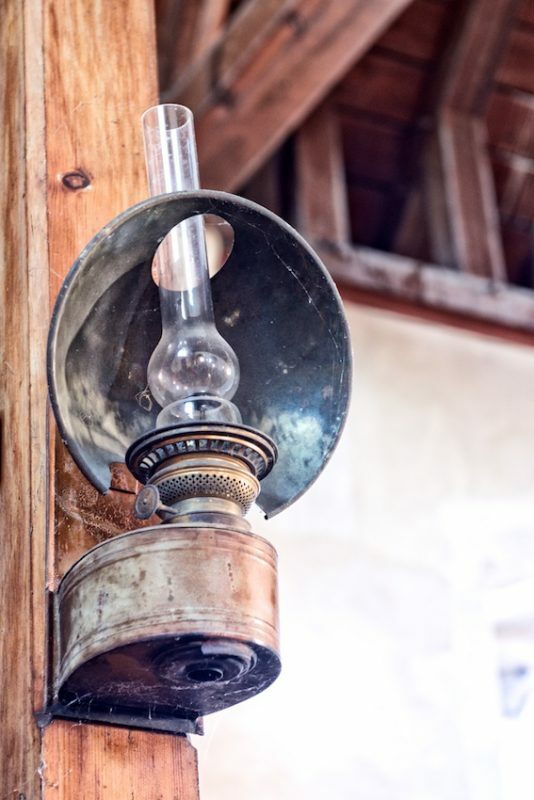 Hidden in the corner of the Sondes Chapel is an antique funeral bier, a rare survival. 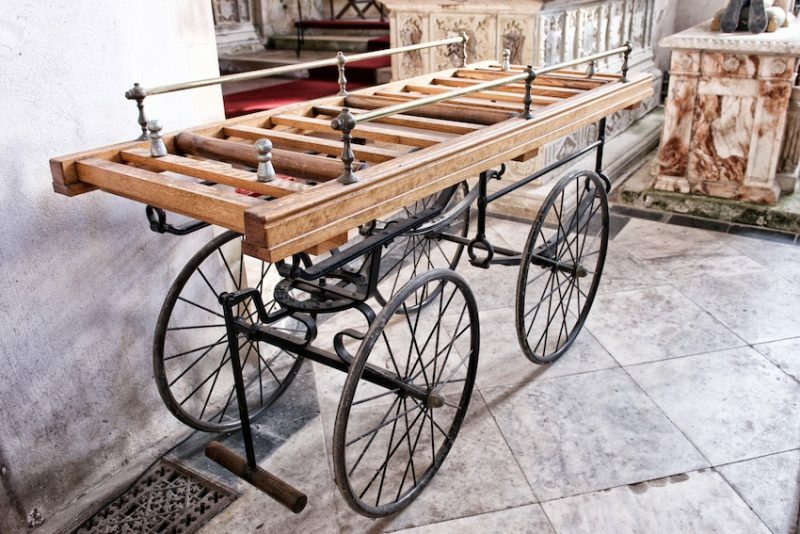 There are too many fascinating tombs, stained glass windows, carved misericords and furniture to list in a short article. 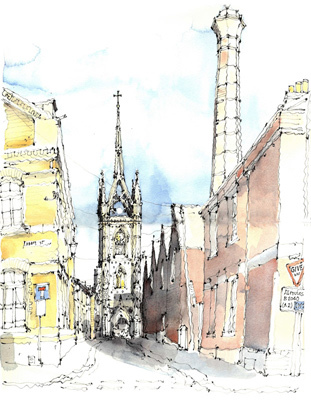 But one cannot but help dwell on the precariousness of this church’s future in common with many of the other 16,000 parish churches up and down the country. In 1851 the average attendance was 225. Currently the church is in a period of interregnum. There is usually a service on the fourth Sunday of each month. A typical congregation is in the region of 12. 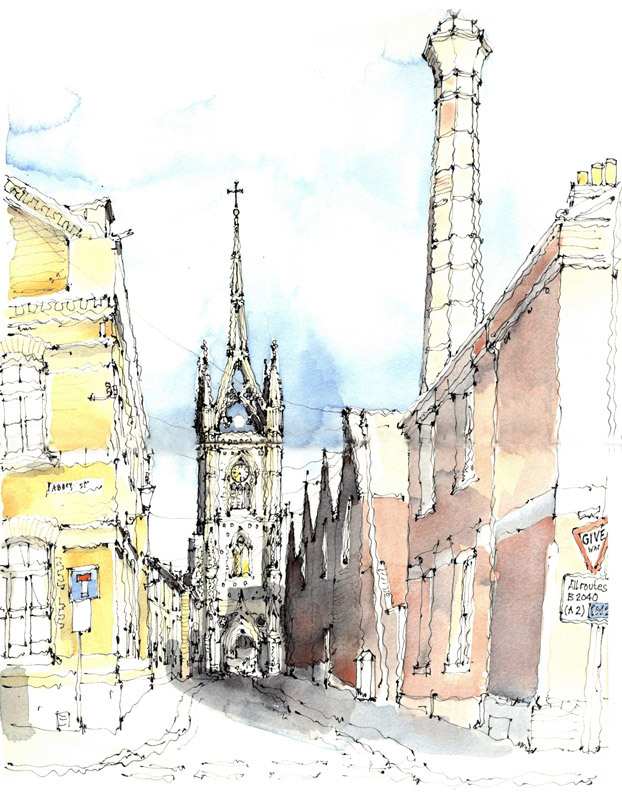 Alison Young holds a key for anyone wishing to visit the church. Tel 01795 890213.